HONG KONG – Chinese traditional medicine is rapidly expanding worldwide as a key pillar of the country’s “Belt and Road” initiative, but conservation groups say demand for treatments using animal products is driving a surge in illegal trafficking of wildlife. 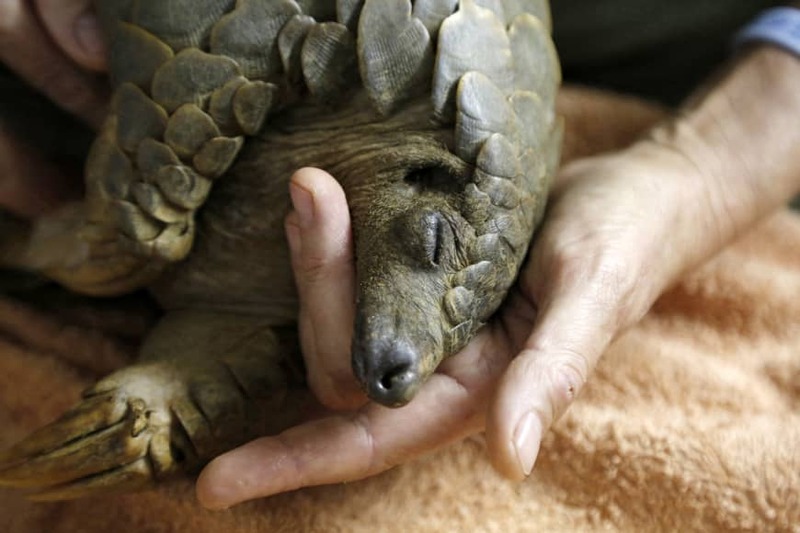 Since the start of the year, authorities in the Chinese territory of Hong Kong have seized record volumes of threatened species, including 8.3 tons of pangolin scales from nearly 14,000 pangolins and its largest ever haul of rhino horns, worth more than $1 million. “One of the most alarming characteristics of wildlife trafficking is the growing use of threatened species in traditional medicines,” conservation group ADM Capital Foundation said in a recent report. China’s State Council has outlined a multidecade plan to promote traditional medicine, including setting up hospitals, museums, medicinal zoos and botanical gardens in countries involved in its Belt and Road infrastructure rollout. Worth some $60 billion a year, according to a World Health Organization (WHO) Bulletin, and growing at around 11 percent annually, according to IBIS World, practices such as acupuncture and herbal supplementation are finding acceptance globally. WHO says it will formally recognize traditional medicine in its compendium in May, meaning more mainstream recognition of practices dating back more than 2,500 years. Species including pangolin, rhino, saiga, sea horses, moon bears and tigers are some of the animals critically endangered by the trade, according to wildlife organizations. Zhou Jinfeng, secretary-general of China Biodiversity Conservation and Green Development Foundation, said WHO should take sustainability and science as preconditions for incorporating traditional Chinese medicine into its compendium. “All medicinal treatment should be on the principle of ‘do no harm’ to those using, or making it and to the species it depends on; meaning in most cases no vertebrate should be used within TCM,” Zhou said, referring to traditional Chinese medicine. Inclusion in the compendium did not mean WHO endorsed the scientific validity of traditional medicine, or that it recommended or condoned the use of animal parts, a WHO spokesman Tarik Jasarevic said. “WHO recommends the enforcement of the Convention on International Trade in Endangered Species of Wild Fauna and Flora, which protects rhinos, tigers, and other species,” he said. While Hong Kong does not typically manufacture traditional Chinese medicine products, it imports them from the mainland and a wide array, including pangolin scales, saiga horn and shark fin, are readily available in the city’s Western district. “The Chinese government should do something. Manufacturing is mostly in China. The government needs to stop the production of it,” she said. Gui Zhen Tang, which owns the biggest moon bear breeding center in southern China, has permits for extracting bear bile, according to its website. China Traditional Medicine Holdings last year acquired Beijing Huamiao, a company it says holds permits for the “processed products of some of the endangered and protected wild animals.” It did not elaborate. China’s State Forestry and Grassland Administration and the State Administration of Traditional Chinese Medicine did not respond to requests to comment. Hong Kong’s Health department said the city’s Chinese Medicines Board “has always been concerned about the balance between the protection of endangered species and the use of traditional Chinese medicine,” and it would continue to observe international regulatory trends and monitor the issue with regard to endangered species. Farming of animals used in traditional medicine has been advocated by China’s Forestry administration and some breeders as a sustainable way to use endangered animals in traditional Chinese medicine.